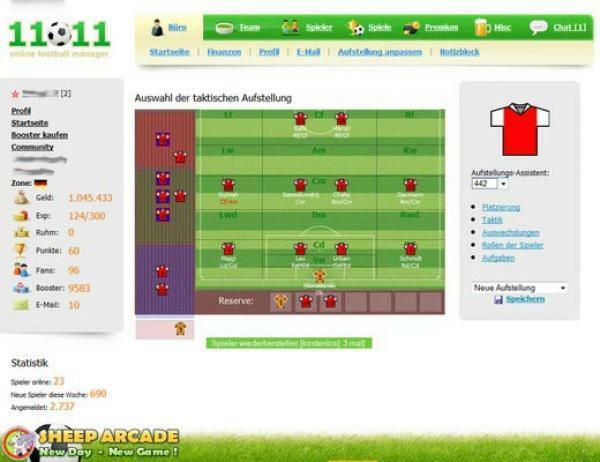 11x11 is a free online game in the football manager style. You create a football club, manage it and compete with thousands of real opponents in league games, friendlies and tournaments. The game doesn't require any installation, you can play it from home and from work. 11x11 is a free football manager game where you can create and manage your own football club and lead your team to world-class success. 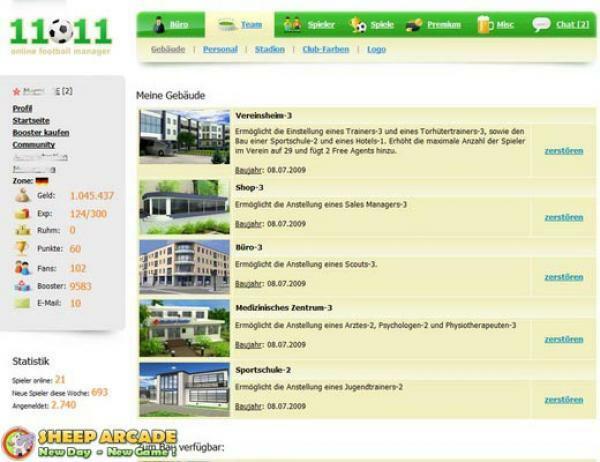 Since the game can be played in a browser window neither an installation nor a high performance hardware are required. 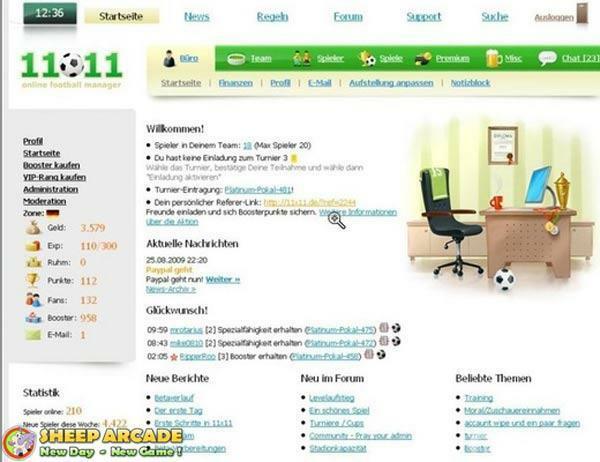 11x11 offers several unique features like a 'real' game transfer market or football betting among the users which can only be realized in a free to play browser game.